I don’t know about you, but I learned a lot about myself when I became a dad. Unfortunately, most of what I learned is that I’m not as good or strong a man as I thought I was. This isn’t to say that I discovered I’m some horrible monster because I didn’t. Rather, fatherhood uncovered previously unidentified weaknesses and obliterated the facades off strengths I thought I had mastered. It soon became apparent to me that I couldn’t just throw up my hands and decide that I was good enough as I was. I wanted my son to have a dad he could rely on, a dad who was a model of the kind of man a boy should aspire to become, and a dad who was filled with unconditional love and forgiveness. But that’s not who I was when my son came home, and much of the time that’s still not who I am. While I’m constantly trying to get better, I (along with my wife and son) will freely admit that I’m still nowhere close to the kind of man I want to be, so please don’t think I’m writing from a place of expertise. That being said, I’ve been trying to develop some habits that help me improve as a dad, and today I want to share them with you. Maybe you’ll steal some of them (feel free), or maybe they’ll inspire you to come up with your own. Either way, I think it’s important that all of us are actively pursuing habits that make us better foster/adoptive dads. I’ve been a fairly casual journaler for the past few years, but the habit became an essential daily task for me when I became a dad. Unlike Anne Frank’s, my journal isn’t so much filled with anecdotes about each day as it is filled with meandering philosophical and theological thoughts, angry prayers, and cuss words. And while it may not be much of a page-turner, it’s the place where I sort out my thoughts and feelings about life and how I can grow as a human being. 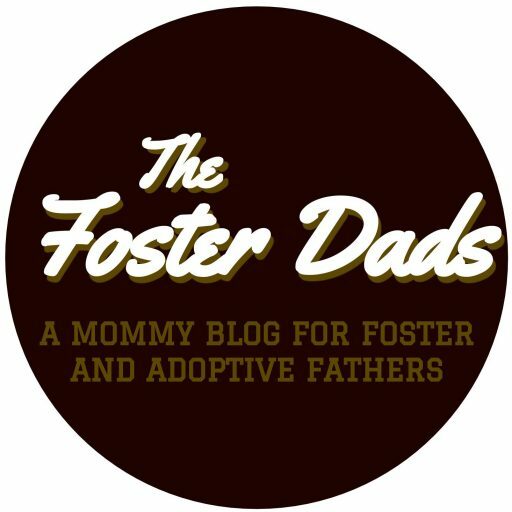 For a lot of us guys, it can be hard to express our emotions, but the life of a foster/adoptive dad (in my experience) is inescapably emotional and it’d be stupid to keep all that inside. Journaling helps me put words to my feelings and flesh out my thoughts, allowing me to share my emotions with others more easily and also to tackle various situations from a more level-headed perspective. Plus, so many badass men throughout history have been avid journalers, so I’m in good company. 2. Tell someone about the struggle. If only it were possible, I would grind my teeth and push through the adversities of life without telling a soul. But as my son’s behaviors were becoming more extreme, I soon realized that, no matter how strong I thought I was, I just couldn’t handle it alone anymore. Not if I wanted to survive with my relationship with my son still intact. So I began to slowly share with a few people the struggle in our home. I didn’t tell everyone I knew; after all, it isn’t everyone’s business and not everyone will understand. But I did talk to my trusted few, as hard as that was, because I knew I couldn’t keep up the facade anymore. Sharing my strife didn’t fix any of my problems, but it genuinely felt like a weight had been lifted off of me. I was reminded that I wasn’t alone and I was surrounded by people who loved me and believed in me. That in itself was enough to keep me going. Those last two were annoyingly serious, and for that I sincerely apologize. As penance, I offer this silly (yet true) habit of mine. One of my favorite perks of being a man is the ability to pee outside without much rigmarole. There’s something inexplicably yet primally gratifying about whipping it out and marking your territory. Or maybe that’s just me. All I know is that peeing outside feels awesome, and the money I save from not having to flush the toilet is an added bonus. Some of you are thinking, “What? Read?! That sounds like school! BOOOOOOOO!” Well, guess what, suckers: this thing you’re doing right now is reading. Gotcha! I’m just kidding. I’m sure you’re all highly intellectual readers already. I’ve loved reading ever since I was a child (and here I know Dave is going to accuse me of being a nerd) so this isn’t really a habit I’ve developed as much it is a habit I’ve fine-tuned for my purposes. Basically, I see two distinct purposes for my reading habit: one is for pleasure and one is for empowerment. I read for pleasure because we all need coping skills that are unrelated to the things that cause us stress. I read for empowerment because I want to learn as much as I can to become the best man I can be. 5. Listen to a podcast that has nothing to do with parenting. It took me a bit to get into podcasts, but once I did, I was hooked. You can bet that if I’m driving or cleaning or doing yard work or a myriad of other tasks, I’m listening to a podcast (or occasionally an audiobook). Not only do podcasts make you feel like you have friends, but they can also help you learn or laugh even while you’re doing something else. There are plenty of great parenting podcasts out there, but sometimes I need to listen to something that has nothing to do with parenting. This habit was born out of some journaling (see habit number one) I did on Jesus’s teaching on turning the other cheek and going the extra mile. If you’re unfamiliar, basically Jesus tells his followers that if someone is mistreating you, you should overcome their wrongdoing by doing good to them. It’s a backward idea, but it’s one I’ve embraced for my life in general, and for parenting in particular. My fourteen-year-old son constantly asks for me to do things for him, like put socks on his feet or get him a snack. While I’ve come to understand that much of the time he merely wants to receive the nurturing he should’ve gotten throughout his childhood, it still drives me bonkers when he makes a request of me that he could easily take care of himself. However, a few weeks ago when I was writing about going the extra mile, I realized that a better response than getting fussy would be to not only fulfill his request, but go above and beyond it. One of the best ways I know of to recuperate from a long, hard, stressful, emotional day is to practice gratitude. It’s too easy to focus on all the negatives in life, all the reasons we should give up, all the ways this life has failed to live up to our expectations. The thing is, for most of us there’s actually way more good than there is bad; we just don’t often take the time to see it. That’s where gratitude comes in. Gratitude isn’t pretending that life is good even when it’s bad; gratitude is acknowledging that there is good in life even when it’s bad. In my journal, I have a running list of things I’m grateful for which I can review or add to any time. The sheer length of the list is a compelling reminder that, even in the darkest times, I still have a wealth of reasons to be thankful. Sometimes, if I don’t have my journal handy, I’ll just start rattling off all the good things I can think of and thank God for them. It’s a simple exercise, but the perspective shift is tremendous.